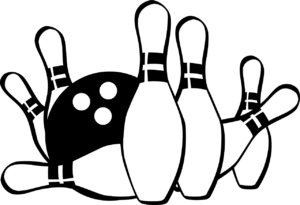 We would like to say a big thank you to all who came out to the Quantum Employee bowling event on Friday, August 24, 2018. We're sure all who attended would agree that we did have a GREAT time – fun, laughter, and some good food. 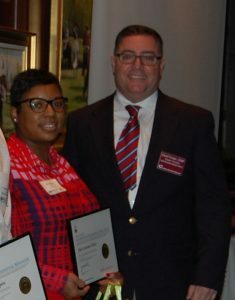 On February 20, 2018, Emerson House Property Manager Jheri Oliver was installed as an Accredited Residential Manager® into IREM Chapter 8. In order to professionalize and improve the quality and reputation of Residential Managers, the Institute of Real Estate Management has a formal program consisting of education, formal examination, experience, and professional reputation that leads to the designation of Accredited Residential Manager®. The ARM® designation has come to represent the most reputable and professional segment of the Residential Manager workforce. Thus, anyone hiring an ARM® can be confident that the ARM® designee is experienced, competent and of the highest integrity. 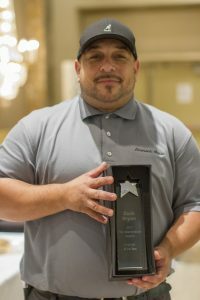 A BIG congratulations to Emerson House Maintenance Engineer Zach Bryan who won the Engineer of the Year award on October 26, 2017 at the 15th Annual Maintenance Summit & 6th Annual Maintenance Professional Award banquet! Congratulations to Quantum’s newest ARM®’s Lesly Merino and Melissa Magaruh. On September 13, 2017, Herndon Harbor House Assistant Property Manager Melissa Magaruh and Evergreen House Assistant Property Manager Lesly Merino were installed as Accredited Residential Managers® into IREM Chapter 77. At this year’s PMA Maintenance Summit on October 26, 2016, maintenance professionals from the DC-Metro area were recognized for their outstanding service to their properties. Quantum’s own Carlos Lazo from Island Walk in Reston, Virginia received the Most Valuable Player of 2016.